"Read in the Name of Your Lord who Created"
To become a world-class Institution in Technical Teachers Training, Education, Research and Technology for National Development. 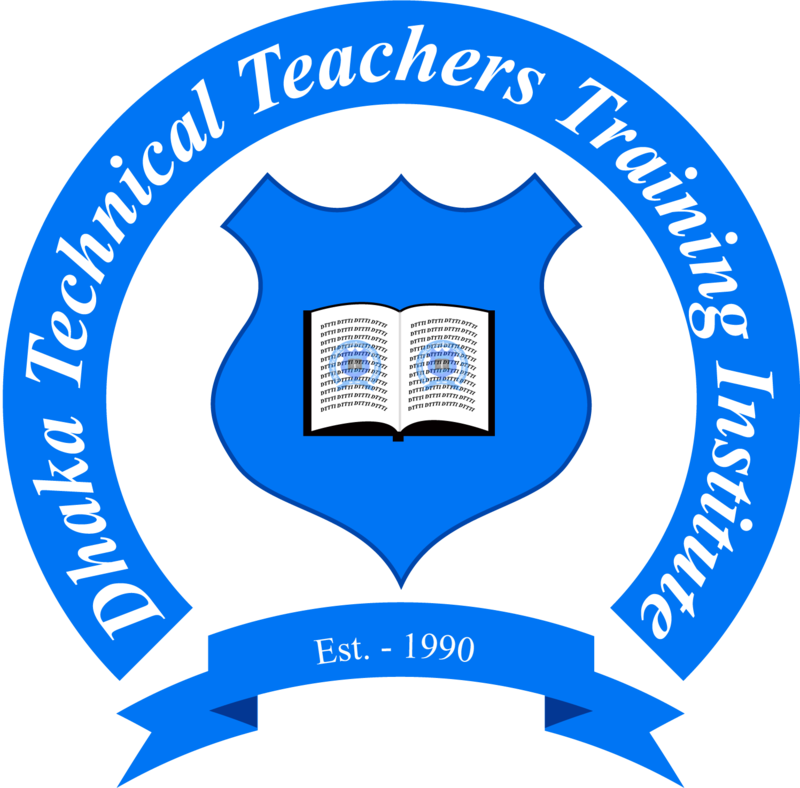 Training of technical teacher’s for all technical training centers or institutions in the country. Technical and Vocational Education and Training (TVET) for Future World. Bangladesh is a small country with a large population of 160 million. This provides a huge potential for further economic development, but progress is hindered by three main factors: poor infrastructure, lack of quality training and the lack of skilled workforces. Lack of skills reflect in the countries high rate of unemployment and it also cause underemployment. Bangladesh has more than 10 million migrant workers, but most of them are low skilled, making money in low paid jobs. The Bureau of Manpower, Employment & Training (BMET) operates 64 Technical Training Centre (TTC), 6 Institutes of Marine Technologies which have a focus on skills training. Moreover, TTCs will be established in every Upazila in the near future. TVET teachers are the prime movers of skills training. 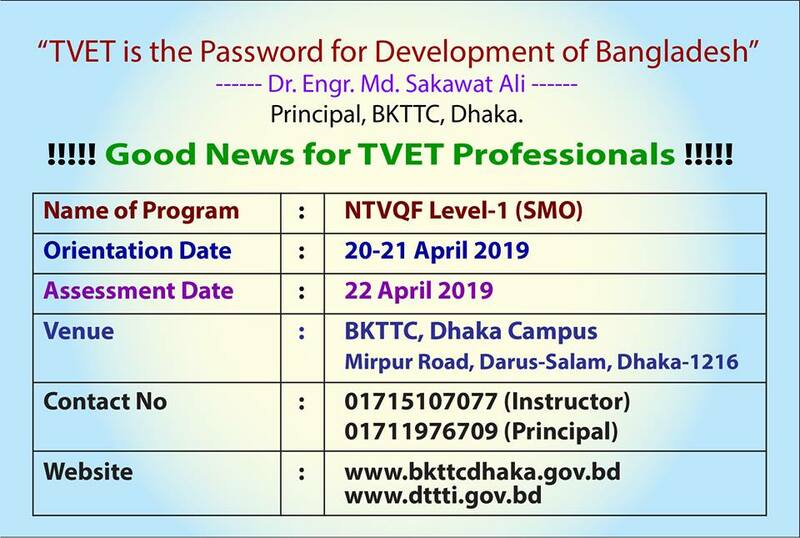 To be able to produce trainees equipped with technical skill that could meet the skill requirements, there is a need to improve and enhance the pedagogical and technical skills of TVET teachers. 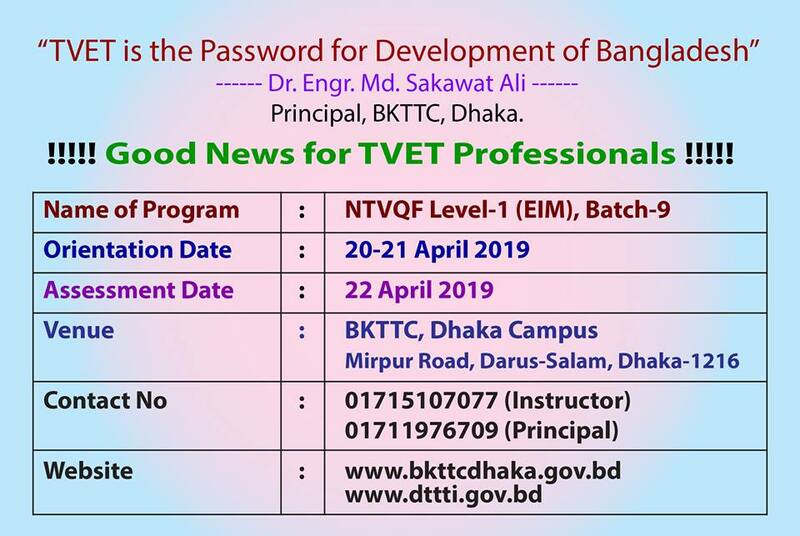 With the view of updating the knowledge and skills of TVET teachers in Technical Vocational Institutions, establishment of Dhaka Technical Teachers’ Training Institute (DTTTI) is essential. 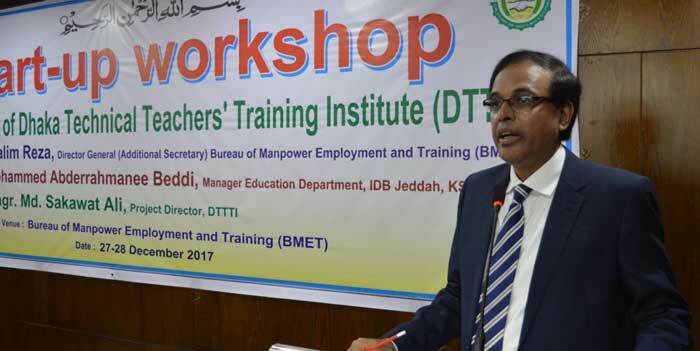 For this the Ministry of Expatriates’ Welfare and Overseas Employment has come forward to establish Dhaka Technical Teachers’ Training Institute (DTTTI) with the assistant of Islamic Development Bank ( IDB). 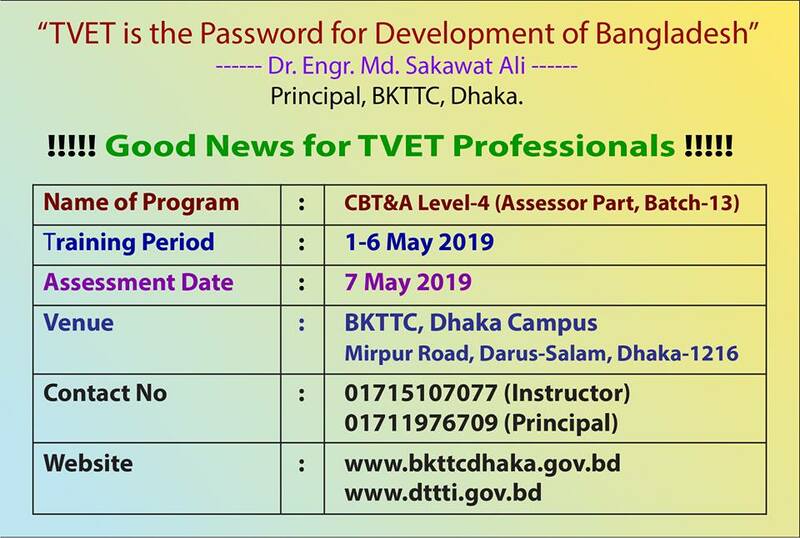 © Copyrights Dhaka Technical Teachers’ Training Institute (DTTTI) 2018. All rights reserved.